Thousands of prospective Danes gathered at language centres nationwide yesterday to take the citizenship test and take that one step closer to a Danish passport. The citizenship test consists of 40 multiple choice questions (you must get at least 32 correct to pass) that test-takers have 45 minutes to answer. 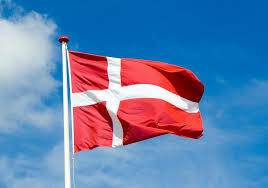 Should they pass, participants can apply for Danish citizenship. The test, which is held twice a year, has been a hot topic in recent years as the level of difficulty has been upped to a point where most Danes have difficulty passing it. However, the general consensus is that the examiners have learned a lesson following criticism of their test in the summer in which they asked what year was the first Olsen Gang film released and the birth of composer Carl Nielsen and gave multiple choice options only a few years apart. Now you, or your Danish spouse or friend, can take it on DR’s website and see exactly how tough it really is. During the first citizenship test round held earlier this spring, under one third of the takers passed. How will you perform? Take the test by clicking on this link and scrolling down on the DR page (it’s in Danish … naturally). Good luck. This journalist scored a 30 … and he’s half-Danish!